Professor Karen Jolly will be featured in a panel presentation, Posthumanism and Transhumanism, on March 16th, 6:30-8:00 pm in the EWC John A. Burns Hall at UH Mānoa. 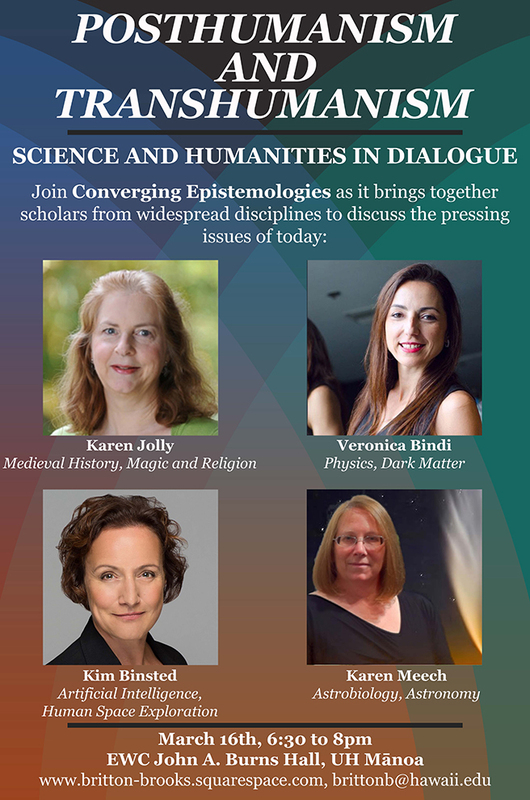 This presentation is a part of a series: Converging Epistemologies: Science and the Humanities in Dialogue. This event is free, open to the public, and will include light refreshments.